Icelandic startup Flygildi thinks it has unlocked the “holy grail” of drone technology: its drone looks and flies like a bird. The AI-powered drone could come in handy for law enforcement and military purposes. The drone is so bird-like that radars cannot tell it apart from real birds, according to its founder. Drones are all the rage these days, but the technology still has its limitations. Drones can be noisy and easily spotted, which makes them difficult to use for surveillance. Enter renowned Icelandic inventor Hjalti Hardarson and his latest endeavor, Flygildi, the Silent Flyer. The autonomous drone comes with all the regular functions, but on top of that, it is quiet and it looks and flies like a bird. “The Holy Grail for drone technology has always been the ability to fly without rotors and using flapping wings instead,” said Hardardson. The idea is both simple and radical. “First, we build a bird-like device where we use seabirds as models. 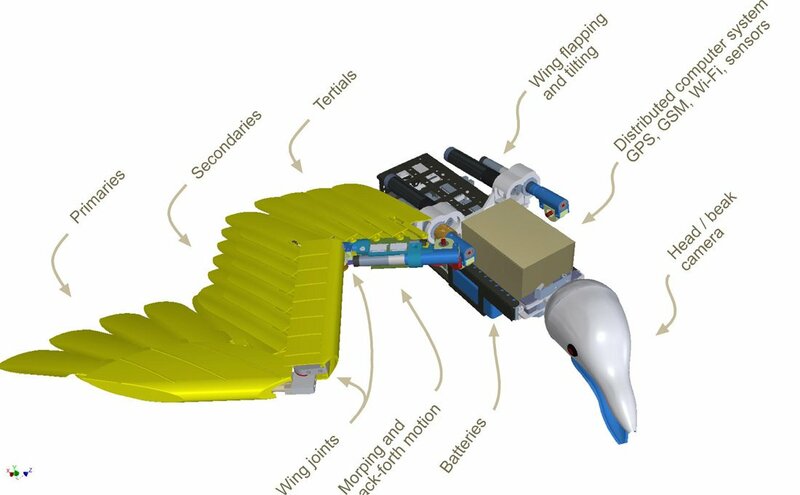 Secondly, we use evolutionary computational methods to teach the device to fly like a bird,” Hardarson explained. The bird drone uses flapping wings for silent flight and vertical takeoff and landing. “We are applying the evolutionary method of flying, and it works. 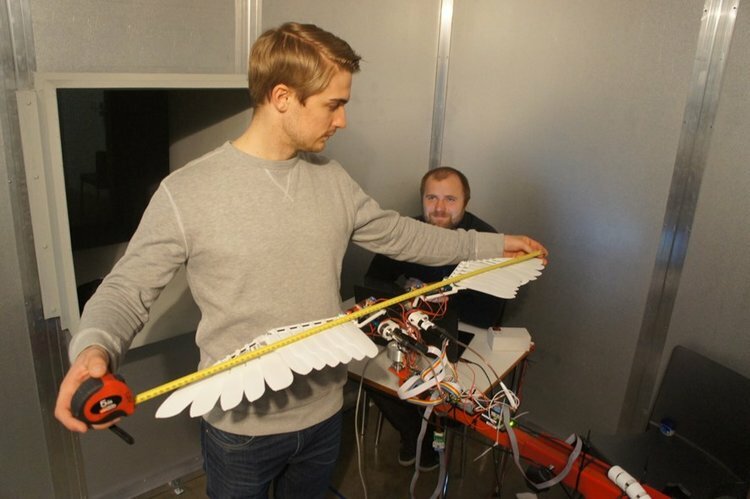 We have seen devices before with flapping wings instead of propellers, but mainly as toys or prototypes,” said Hardarson who developed the Silent Flyer in cooperation with Leifur Thor Leifsson, Ph.D. in aerospace engineering and his team at Reykjavik University. The Silent Flyer has two main parts, the body with wings, and the head. The wing motion can be set to any value within the limits of four DoF (Degrees of Freedom). The head has space for a camera and is controlled by servomotors enabling it to move up, down, and sideways. Flygildi is currently working on prototypes that have been successfully tested with Icelandic partners. The Silent Flyer is airborne, and the control works. That improvement depends on the second part of the idea, teaching the device to fly like a bird. Flygildi has joined forces with the Swedish Chalmers University of Technology, where its technology has been applied to devices such as walking gait robots. 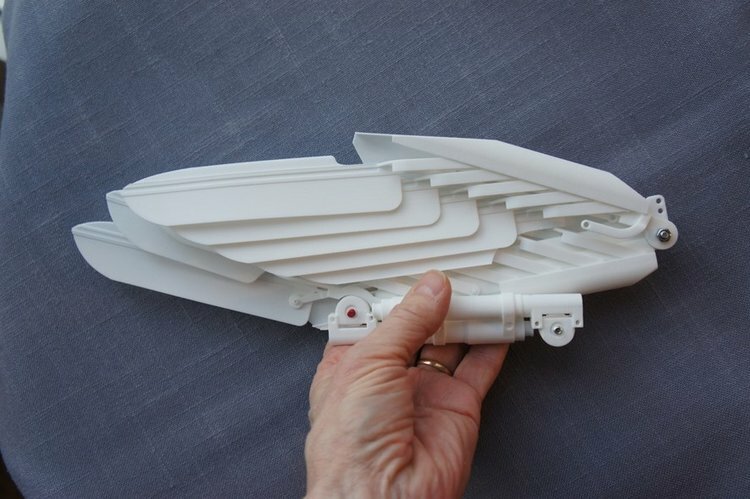 “We have already a flapping wing setup to generate lift and forward motion,” he said. For the military, the Silent Flyer comes with an added bonus. “The drone is so bird-like that radars cannot tell it apart from real birds. Naturally, that is a crucial factor for military use,” Hardarson said. The Icelandic startup expects to start pilot sales in 2019 and have a fully developed product by 2020. The price tag will be between in the range of €70-80,000 ($80,000-92,000). In comparison, a similar conventional drone, the Raven UAV costs twice as much. The global drone market is expected to exceed $20 billion by 2024. Flygildi has received investments from the Icelandic Technology Development Fund, and Reykjavik University. The company is currently seeking additional funding.